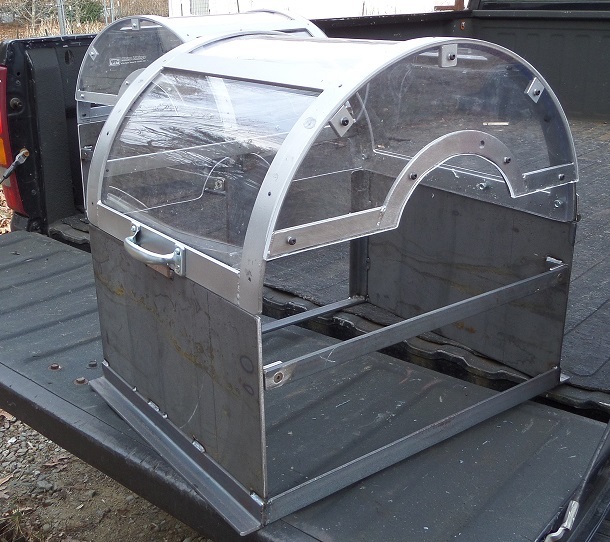 6061-T6 Aluminium welding shield for a machine that welds copper tubes in a line assembly. 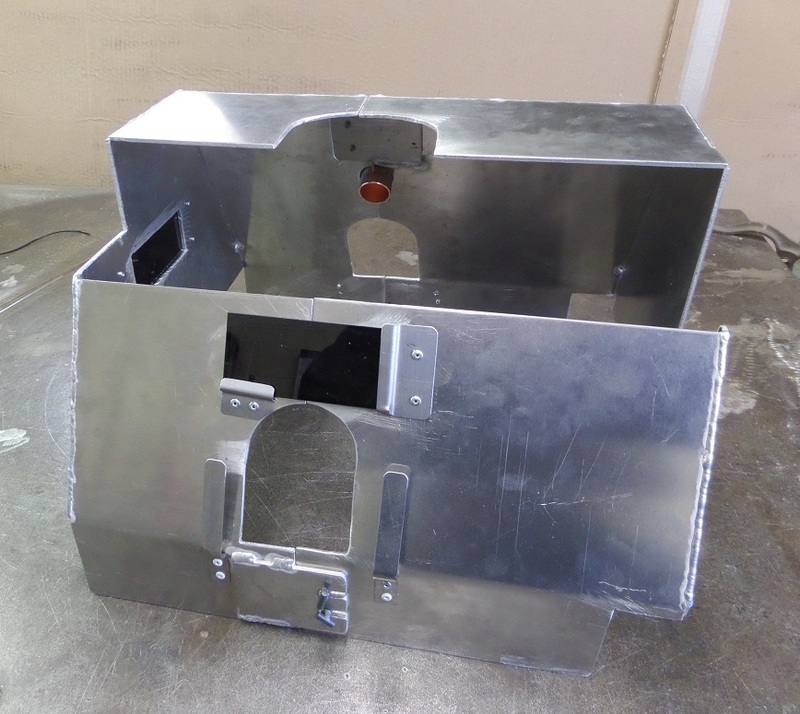 This was designed as a three piece break-a-way assembly so the operator can open a desired section to adjust the rollers and height of the tig torch. The lenses we inserted allows the machine operator quick visual of the welding process. 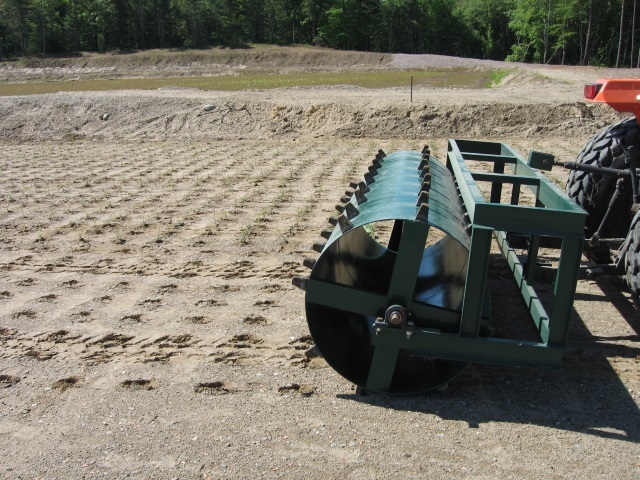 Hole puncher for planting cranberry plants, created for a local cranberry farmer. 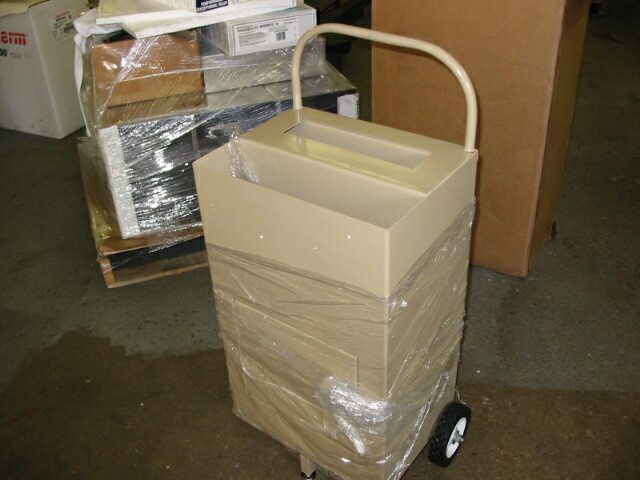 Sweep Carts designed with Shaw's Equipment Coporation. 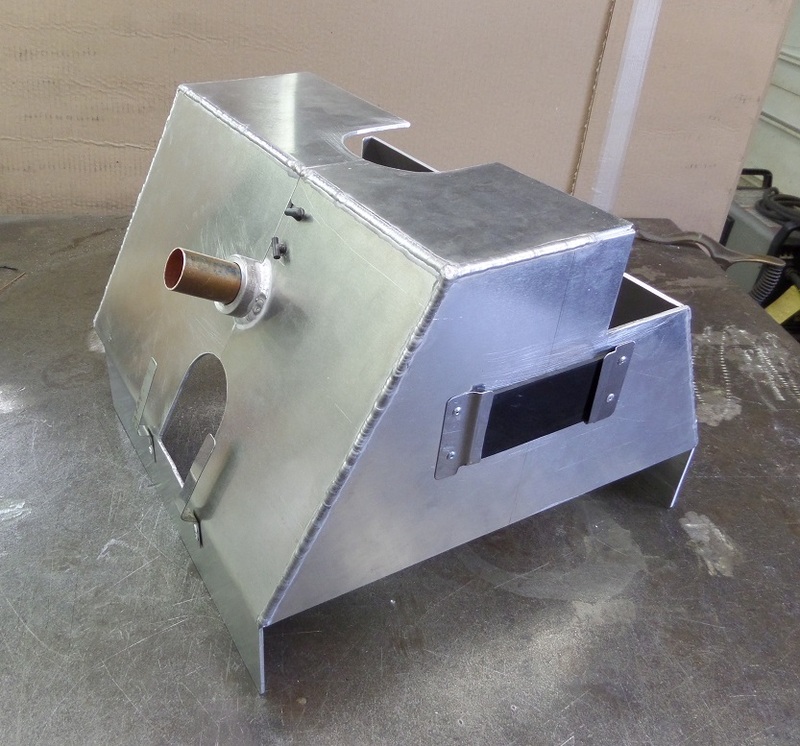 Custom Welding/Fabrication of a taper head machine guard.